Just saw this come up online. The article Veterans Report Mental Distress will run tomorrow on Page One, written by the WaPo's excellent Shankar Vedantam (you may remember he wrote a couple months ago on the VA's desire to review 75,000 PTSD cases because costs were going through the roof; the public backlash put an end to the idea right quick). Though the news is not good, the prominent coverage is heartily welcomed. More than one in three soldiers and Marines who have served in Iraq later sought help for mental health problems, according to a comprehensive snapshot by Army experts of the psyches of men and women returning from the wars in Iraq, Afghanistan and other places. Zogby International, tracking public opinion since 1984 in North America, Latin America, the Middle East, Asia, and Europe, has just completed a first-ever opinion poll of our combat troops serving in Iraq. The results are absolutely stunning. The poll, conducted in conjunction with Le Moyne College, is touched upon today in Nicholas Kristof's New York Times Op-Ed column, The Soldiers Speak. Will President Bush Listen? (subscription) . For those who don't subscribe to the NYT, I have all the details explored there (and more) for you here. A new poll to be released today shows that U.S. soldiers overwhelmingly want out of Iraq -- and soon. The poll is the first of U.S. troops currently serving in Iraq, according to John Zogby, the pollster. Conducted by Zogby International and LeMoyne College, it asked 944 service members, "How long should U.S. troops stay in Iraq?" Only 23 percent backed Mr. Bush's position that they should stay as long as necessary. In contrast, 72 percent said that U.S. troops should be pulled out within one year. Of those, 29 percent said they should withdraw "immediately." While 58% say mission is clear, 42% say U.S. role is hazy. Plurality believes Iraqi insurgents are mostly homegrown. Almost 90% think war is retaliation for Saddam’s role in 9/11, most don’t blame Iraqi public for insurgent attacks. Majority of troops oppose use of harsh prisoner interrogation. Plurality of troops pleased with their armor and equipment. While 89% of reserves and 82% of those in the National Guard said the U.S. should leave Iraq within a year, 58% of Marines think so. 7 in 10 of those in the regular Army thought the U.S. should leave Iraq in the next year. About 3/4 of those in National Guard and Reserve units favor withdrawal within six months, just 15% of Marines felt that way. About 50% of those in the regular Army favored withdrawal from Iraq in the next six months. 58% of those serving in country say the U.S. mission in Iraq is clear in their minds. 42% said the mission is either somewhat or very unclear to them, that they have no understanding of it at all, or are unsure. 93% said that removing weapons of mass destruction is not a reason for U.S. troops being there. 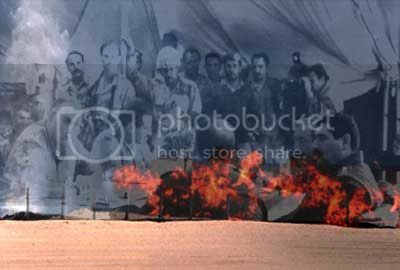 68% believe the real mission became to remove Saddam Hussein. 24% said that “establishing a democracy that can be a model for the Arab World" was the main or a major reason for the war. 11% see the mission there as securing oil supplies. 6% believe we are there to provide long-term bases for US troops in the region. 80% said they did not hold a negative view of Iraqis because of insurgent attacks. 2 in 5 see the insurgency as being comprised of discontented Sunnis with very few non-Iraqi helpers. Less than 1/3 think that if non-Iraqi terrorists could be prevented from crossing the border into Iraq, the insurgency would end. 53% said the U.S. should double both the number of troops and bombing missions in order to control the insurgency. 4 in 5 said they oppose the use of such internationally banned weapons as napalm and white phosphorous. 55% said it is not appropriate or standard military conduct to use harsh and threatening methods against insurgent prisoners in order to gain information of military value. 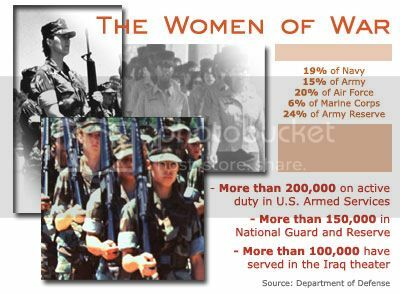 26% were on their first tour of duty. 45% were on their second tour. 29% were in Iraq for a third time or more. 30% of troops said they think the Department of Defense has failed to provide adequate troop protections, such as body armor, munitions, and armor plating for vehicles like HumVees. 35% said basic civil infrastructure in Iraq, including roads, electricity, water service, and health care, has not improved over the past year. 3 of 4 were male respondents. 63% of those surveyed were under the age of 30. Just as local media outlets have been cleaning national media clocks in post-traumatic stress disorder [PTSD] reporting, it looks like the States are giving the Feds a run for their money, too. More money is turning up in state budgets for PTSD treatment programs for our returning veterans. Although the reason is clear -- federal funding is drying up as the escalating costs of the war drain the national budget -- it couldn't be happening soon enough. The effects of the war in Iraq are beginning to reverberate in the state Legislature. A state-funded treatment program for veterans suffering from post-traumatic stress disorder could receive an extra $170,000 this year, enough to serve another 130 soldiers should they need help when they return from Iraq. The funds are in a $500,000 package for the Department of Veterans Affairs in the budgets proposed by Gov. Chris Gregoire, the House of Representatives and state Senate. Only Washington and New Jersey have state-funded PTSD treatment programs. Washington is the only state with an increasing number of veterans, said Tom Schumacher, who runs the Everett-based program. Other states rely solely on federal funding to maintain their PTSD programs and for helping soldiers readjust to civilian life, though many emotionally wounded veterans shy away from them, Schumacher said. Of the 10,000 National Guardsmen and reservists already returned from combat duty to Washington state, Schumacher estimated that 4,000 of them will have readjustment issues or full-blown PTSD. "Can we ever do enough? Probably not," Schumacher said. Nevertheless, "It's up to us to be the example of what should be done." The Daily Herald introduces the reader to the story of a female civil affairs officer (and grandmother) who served in Afghanistan. She's had to cope with nightmares and guilt ever since returning stateside. In war, the challenge is staying alive. Back home, it's figuring out how to live. Returning soldiers tend to be hyperalert, suspicious and tense. It's a normal reaction in combat situations, said Arlington resident Ernie Butler, a Vietnam veteran. "They're living each day of their life in fear of the next step," Butler said. In Vietnam, it was walking through the jungle. In Iraq, it's fighting door to door, he said. Most veterans will not want to face up to PTSD symptoms, Schumacher said. When he helped set up Washington's PTSD program in 1984, he found veterans suffering from the disorder living in remote areas "just to get away from society," he said. "They're going to be the last ones yelling about PTSD," Butler said. "You're a young Marine, you're not going to admit to PTSD. It's a sign of weakness." That's OK. You don't want to yell about your PTSD? I'll do it for you, then. But let me -- and others -- reach out to help, OK? If you're struggling with sleeplessness, uncontrollable and sudden rage, anxiety, or feelings of guilt or fear, please know you have a lot of places to turn to. And if you're afraid you might harm yourself, please get help immediately. 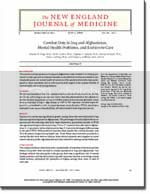 The American Psychiatric Association has a 4-page PTSD brochure available now for download at their Healthy Minds website. The Let’s Talk Facts series "was developed for educational purposes for the general public to provide answers to commonly asked questions on mental health issues and disorders." What is the PTSD Timeline? 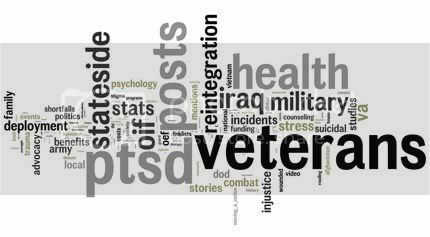 It's a collection of online news reports listing incidents related to returning combat veterans coping with PTSD. It also includes self-reported incidents of combat PTSD. Editor's note, 10/23/06: When I began recording these incidents in September 2005, there wasn't much national attention on the matter. And so I began gathering and recording some of them myself, with ePluribus Media now collaborating to collect, fact-check, and present them online as the PTSD Timeline. Fortunately, since March 2006 (the 3rd anniversary of the invasion of Iraq), coverage of combat PTSD has vastly improved over the previous years' reporting. Let's keep the spotlight going on this issue...unfortunately, it's going to continue to need it. Over the past summer and fall I've been writing a book to be published by Ig Publishing in May 2007, Moving a Nation to Care: Post-Traumatic Stress Disorder and America's Returning Troops. The Timeline work has suffered for the lost focus, but in November 2006 through the winter I'll be updating the PTSD Timeline, which continues to be used by organizations and individuals far and wide (Sen. John Kerry's office the latest among them). Thanks for your support and patience as the database itself also undergoes a face lift in the coming months. And if you know of an incident, please email me. Thank you, again, to those who have been supporters of this work. Being lauded by Congress (that's my Congressman, Rep. Don Manzullo [R-IL] holding a copy of my book) for my work was the greatest of nods and the culmination of two years of steady work on this issue. It was also a welcome affirmation that the issue is indeed of great consequence and that our attention to it is needed and our action in light of the data continues to be vital and long overdue. Let's start the week off on a good note. Let's write or call those who are working tirelessly to ensure our vets have the benefits they were promised. Take a moment today to cheer Rep. Lane Evans, Sen. John Kerry, Rep. Bob Filner, Rep. Steve Buyer, and Rep. Marty Meehan on -- and ask them what we can do to help them in their work. Event facilitator Chaplain John Morris, himself a two-time combat veteran, referred to the session as a “nation-leading effort” because it was one of the first in the entire country to extensively deal with the re-integration of National Guard soldiers back into the community. In fact, the event was considered so ground-breaking that a television crew from ABC News was on hand to record it. “The adjutant general of the state of Minnesota has committed the state’s resources to helping our combat veterans reintegrate,” said Morris. “I am here to ask for your help, because there is no way they can make a healthy integration without your help and support. We’re in this as a community, and everyone has a role to play. You have a chance to be a part of something no other state has done.” The program is part of a series of reintegration sessions designed to help the 120 soldiers from the local Guard unit make the necessary psychological and emotional adjustments after returning to the United States last month. Pushing the envelope and blowing up in anger are two markers of combat PTSD. The rage is often directed at loved ones. Huff explained that combat veterans also experience a great deal of anger – much of it admittedly groundless – and their tempers are a lot shorter than most. “He made me feel accepted and understand that I wasn’t going crazy,” Huff summed up. Next week, the paper presents Part Two of their new series. The Long Road Home will discuss the 5 leading challenges each troop faces when they arrive stateside, again. I want to applaud the little town of Clouquet, MN and its Pine Journal for their great work on behalf of PTSD education -- and the soldiers who've returned home to them. More and more, local media is pummeling the national outlets when it comes to PTSD reporting. If you'd like, email the Pine Journal a quick thank you for their coverage; being a small paper, they'll probably really appreciate hearing that their efforts are being recognized. Perhaps consider contacting your local officials to ask if your community has any plans to organize something like this, too (especially if you live near a base). Read Part II in the Pine Journal PTSD series. Then read a few more examples of the stellar PTSD reporting happening on the local level in communities all around the country. Have a troop serving overseas? You're probably wondering what you can do to ease their transition back to civilian life once they're home. You probably also want to do all you can to prepare yourself for that long-anticipated reunion. Please add any of your own recommendations in comments. I'll be happy to add them to the list. Not nearly enough, but it's good to see the Congress demanding more funds be provided for the Veterans Administration (VA) than the President's 2007 budget would wish to give. The Republican chairman of the House Veterans’ Affairs Committee is asking for an extra $1.9 billion in the 2007 budget. He also is rejecting the Bush administration’s call to increase prescription drug co-payments and establish enrollment fees for veterans receiving care from the VA.
Rep. Steve Buyer, R-Ind., is asking for the money on top of $80.2 billion the Bush administration already requested for the 2007 budget. It would cover unmet expenses in medical programs and cemetery administration. Included in the extra money is $600 million to pay for improvements in GI Bill educational benefits, according to a statement provided by his staff. Democrats on the veterans’ committee agree the VA is underfunded, but they are asking for far more. In a separate request, they are asking the budget committee for a $6.8 billion increase in the Bush budget request for the Department of Veterans Affairs. This includes $3.6 billion for health care and $2.3 billion for new benefits. Most of that latter increase would be for a large educational benefits package, aides said. We are a nation at war. And proper and realistic funding for the VA is a moral imperative. The President's 2007 budget proposal falls far short of meeting the commitment we have to our troops. Let's contact our elected officials and ask them to support our veterans returning from combat. USA Today reports on the strange uptick in workplace injuries at Robins AFB in Georgia. The base is responsible for repairing military aircraft. As the war raged onward, and the Defense Department demanded a leaner, meaner and more efficient military, the strain of meeting these demands resulted in a witches' brew of problems. The situation at Robins, where thousands of workers repair military aircraft, is a case study on how the war overseas has affected those serving on the home front. Here, a different kind of strain and battle fatigue has surfaced, often in startling ways. After U.S. forces invaded Afghanistan and Iraq, the demands of war exacerbated the challenges of trying to modernize and streamline the military, Collings says. As a consequence, he says, the needs of those at Robins were neglected, and the troubles at the base began to swell. "Whether you're talking about the soldier in the field who's getting ready to take the next bunker, the fighter pilot, the maintainer who is turning wrenches on the flight line, the engineer doing software development here or Ronnie who works in the paint shop," Collings says, "if you don't have their heart and their belief that you are leading them in the right direction, it's a non-starter." TriWest Healthcare Alliance, the TRICARE Contractor in the West Region has developed a post-deployment DVD to help ensure that America’s Global War on Terrorism veterans suffering from combat stress get the help they need and deserve. “Getting Home: All the Way Home” features advice and resource information from behavioral health experts and tips for TRICARE beneficiaries in the West Region. Family members, spouses, and friends will also benefit from understanding the effects of combat stress on their loved one. Anger, detachment, sleeplessness and night sweats, are some of the symptoms discussed in this DVD with an emphasis on seeking help quickly. The Post Deployment Health Reassessment program will be implemented on all military installations and will include active duty members as well as the armed services reserve components. Research indicates that many deployment-related health problems may not arise until three- to six-months after a servicemember returns from deployment. Defense Department officials stated that the program will allow servicemembers and healthcare providers the opportunity to identify potential health issues before they become chronic conditions and treat known health problems before they affect a servicemembers deployment status or career. The PDHRA also empowers servicemen and women to proactively take charge of their health so that they receive the DoD and Department of Veteran’s Affairs sponsored health services they have earned through their service. Each member of the Armed forces who has been deployed since September 11, 2001, will have the opportunity to complete the PDHRA and identify and address any post-deployment health concerns they may have. I've been contacted by Psychiatrist Robert M. Roerich, M.D. regarding the need for therapists, veterans, and police officers to participate in a controlled clinical trials study on the effects of senticon (mental imagery) therapy on PTSD. Haunting memories, thoughts, or images are found in Post-Traumatic Stress Disorder (PTSD), a major mental health problem affecting millions worldwide. A new clinical trials study by mental imagery researcher Robert Roerich, M.D. seeks to explore the mind’s ability to heal memory of stressful life experiences. Roerich has coined the term senticon for mental imagery. From the Latin “sentire”, meaning to feel and the Greek “icon”, a symbolic representation, this word encompasses all sensory perception, not just visual. PTSD is a whole body reaction that may include sound, smell, touch, and taste besides visual memory of the original trauma. “What appears to record the original trauma is the presence of strong emotion associated with a life threatening event,” Roerich states. 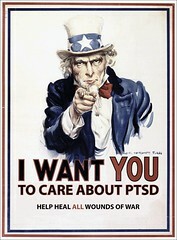 Roerich’s clinical trials study seeks police officers and veterans who are in therapy for PTSD. A new mental imagery treatment, Senticon Therapy, is being compared to whatever therapy the patient is receiving, with pre and post treatment testing to gauge severity of PTSD. Related Note: Zogby International, in conjunction with Le Moyne College, has just completed a first-ever opinion poll of our combat troops serving in Iraq. The results are absolutely stunning. This past Thursday, February 23rd, was the 15th anniversary of the start of the first Gulf War's ground war: Desert Storm. It lasted, incredibly, from start to finish 100 hours. We celebrate the end of that war tomorrow. "Casualty: a military person lost through death, wounds, injury, sickness, internment, or capture or through being missing in action." From Sourcewatch.org: Both the Pentagon and many media reports exclude wounded from their "casualty statistics". They may refer to some wounded soldiers, but then don't have a tally for them. In addition, soldiers injured in "non-hostile" circumstances aren't tallied either. Non-DOD US Government employees, e.g., State Department, aren't tallied either. In the Persian Gulf War, about three troops were wounded in action for every fatality. In Iraq, about seven are being wounded for every one killed. - Alan Bavley in New technology and medical practices save lives in Iraq. Knight Ridder Newspapers, 17 Dec 2003. OIF: Estimated cost of war: $350 billion+ spent/approved, $120 billion request 2/2006. Hundreds of thousands lived outdoors for months near more than 700 burning oil well fires belching fumes and particulate matter without any protective equipment. Each of these exposures took place while troops were either engaged in combat, serving in a war zone, or stationed in the volatile region for a number of months.